Towards the end of the semester I asked my students for their recommendation on extra credit reading assignments next year. 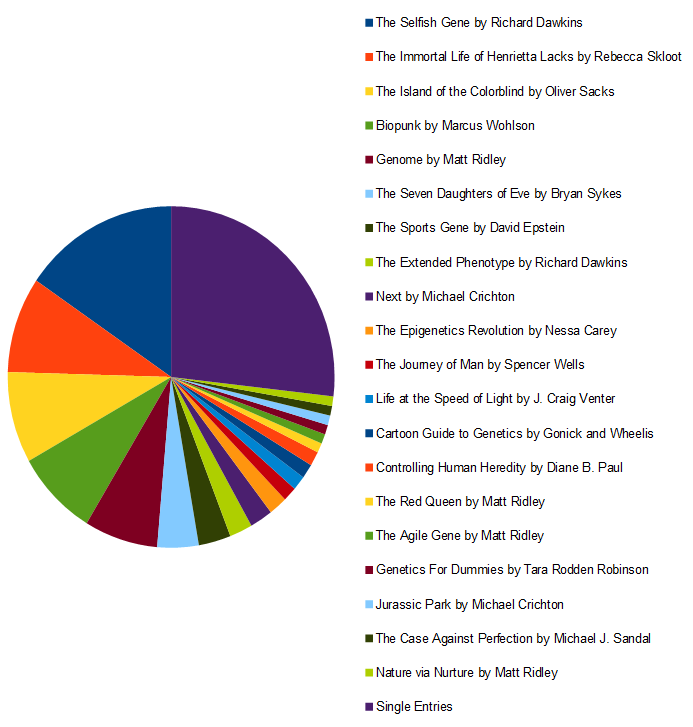 Here is a plot of their response with books that were suggested by two or more students (single entries, which were slightly more than a quarter of the total response, are grouped together). The large number of students that recommended The Selfish Gene by Dawkins surprised me. Actually it makes me a bit suspicious that they are already reading this for another class... The four next most popular books are ones that were options this year, so I suspect they are a bit inflated, but are still good books that are relevant to genetics. Controlling Human Heredity by Paul is also one that was among the options this year but it was not recommended as highly--it was dry and less enjoyable to read, but I still think it is an important book for them to be exposed to (the history of eugenics programs in the United States). Still, the students have helped me identify several books that I can take a closer look at for reading options in class next year. This entry was posted in Uncategorized on January 4, 2014 by Floyd A. Reed. Final grades for the semester were due on Christmas Eve the 24th, and I had students calling me on my office phone and emailing me to ask about their grades up until the last minute on the afternoon of the 24th. Then I was looking forward to a much needed break and went fishing with a video camera. I'll try adding one of the videos here. It is down-sampled a bit to reduce the file size online. This is a video of a Mokuleia tidepool on O'ahu. blackspot sergeants (Abudefduf sordidus, Kūpīpī)--the ones with false "eye spots". 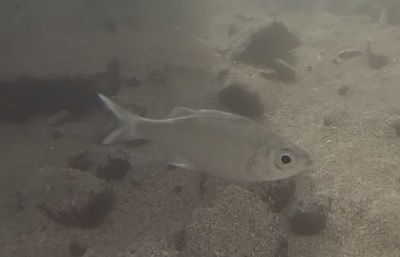 I suspect that flagtails are also present (Kuhlia spp., ʻāholehole) and the most common in this video, but I am less confident about their identification (see the update below, these are actually reticulated flagtails, Kuhlia sandvicensis). There are also two brief glimpses of a third species that I suspect is a "rockskipper" zebra blenny. If this works well then I will try uploading some more videos. 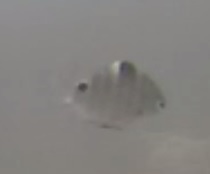 I sent a picture of the flagtail from the video to some of my coworkers to ask about its identification. This looks more like the reticulated flagtail, Kuhlia sandvicensis (also referred to as aholehole). It has a broader distribution than K. xenura, the latter of which is an endemic. Distinguishing features include a pale gray rather than dark grey tail, sometimes with a pale margin (which shows up in your picture), and a flattish, rather than slightly concave, head profile. The eye tends to be smaller in sandvicensis, but that doesn't help much unless you have the two species side by side. Juveniles of both species are found in shallow coastal waters and tide pools so are easy to encounter. I also came across an article about the flagtails in Hawai'i that discusses some of the difficulties and confusion in distinguishing between them. This entry was posted in Uncategorized on January 3, 2014 by Floyd A. Reed.